Is Your Writing As Good As You Think It Is? Good writing is what everyone wants. Le duh. No writer starts a project, be it screenplay or novel, actively wanting it to be bad! That would make no sense whatsoever. But the dead reality is, most of the spec pile is NOT good. So, what does ‘good writing’ mean? And how do you KNOW yours is good? Why does your work deserve to be produced or published? Obviously everyone has personal preferences about what makes good writing. Some writers are lauded for stuff like dialogue, epic story worlds, nuanced themes, diverse characterisation, non linear plotting and so on. But what if I told there were OBJECTIVE elements all writers can strive for in the journey towards good writing? Not so long ago, writers were insistent it was ‘the execution that counts’. Thankfully, those days seem to be fading away. 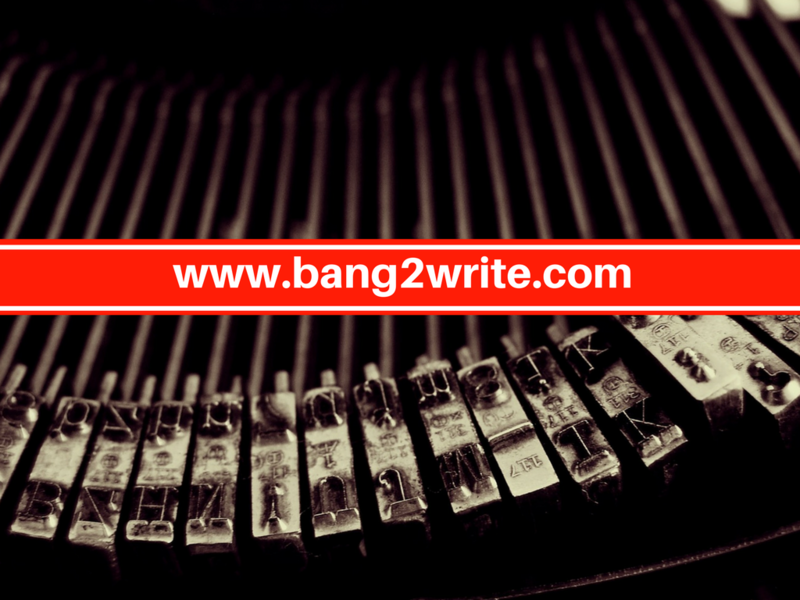 More and more writers know their stories have to be ROCK SOLID at concept level … This is not only because pitching is so important, but because without a bombproof concept, your draft will go wrong. But writers are not out of the woods yet. 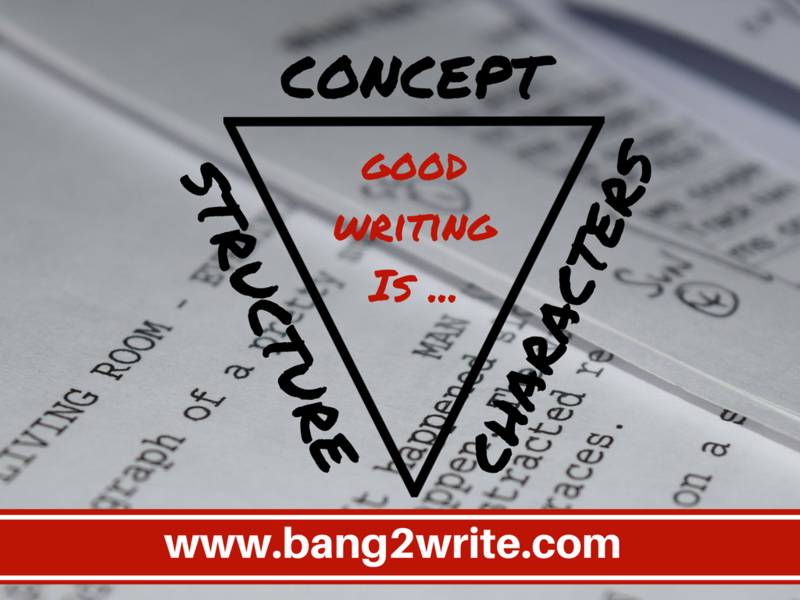 Too often, writers’ concepts are just not good enough. But what does THAT mean … Well, a good concept is ‘the same, but different’ to what has gone before it. Unfortunately, too many writers concentrate on the SAME and not enough on the DIFFERENT, leading to samey stories that feel generic or worse, completely rehashed. HOW TO AVOID THIS: Totally immerse yourself in stories LIKE your concept. Don’t just check out your medium – look at all of them: movies, TV shows, novels. Identify the threats versus and the opportunities, by working out what is the SAME as yours and how yours can DIFFER. Read who is making what, plus find out what the ‘buzz’ is. Talk to any pro writers, agents, publishers, filmmakers etc you know, or follow them on social media. It’s said that good characterisation is the most important thing in any script or novel. (To be honest I think good plotting is just as important, but you certainly do not want to skimp here). Your target audience needs to connect with your characters, but this does NOT mean going overboard with backstory or obsessing over what your characters had for breakfast. Craft-wise, there are just 2 things that count when it comes to good characterisation. The first is motivation, ie. what characters need or want. Writers tend to understand ‘motivation’, but forget about the second important thing: role functions. If writers don’t know these two things inside out, their characters run the risk of being dull at best and even offensive at worst. HOW TO AVOID THIS: Research! Role function covers WHO the character is; WHAT they do in the story and WHY. Key role functions are protagonist and antagonist, as well as secondary role functions like mentor, love interest, henchman, ally and so on. (Note: role functions should not be confused with tropes, which are recurring motifs such as Kickass Hottie, who may or may not be a protagonist or antagonist. More in my writing books, especially the one on Diverse Characters). This is probably the one that ‘kills off’ most interest, the quickest. It’s also the element I find writers do the least work on in terms of honing their craft. They may start off with good intentions and read books, do courses etc … Or they may try to wing it! Alternatively, they may learn one medium’s style really well, but then try to cram it into stories that need a different approach. As a result, this means writers may fall into ‘obvious’ structure-related pitfalls. These include starting too early; ‘running on the spot’; overly long scenes and page-counts; meandering drafts and overly hasty or contrived resolutions. HOW TO AVOID THIS: Whatever the case, it boils down to this: writers NEED to do more work on structure. You need to develop a vocabulary for how YOU see structure working. This means – you guessed it – more research. Read more than one book. Check out more than one visual or worksheet. Check out plot breakdowns. Plus you also NEED to ensure they stay up-to-date and keep adding to their knowledge base all the time. You might find it boring, but it’s 100% necessary. Sorry! How good is your concept? Is it REALLY ‘the same but different’? How’s your logline? Do we know what your characters want (motivation) AND what they’re doing AND why (role function)? Do you REALLY know how your structure works and why the story works out the way it does, or are you just hoping for the best? If you can’t answer the above questions honestly, without glossing over anything, then you need to do more before your script or novel is that considered fabled ‘good writing’. Best of luck with your pitches and submissions! We all know format is the LEAST of our problems as screenwriters … but *how* do we improve our writing craft?? 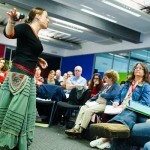 My course with LondonSWF, Advanced Fundamentals of Screenwriting at Ealing Studios, London (Oct 19-2oth, 2019). Over two days, we will put writing craft under the microscope & you will learn tricks to elevate your writing to the NEXT LEVEL. Don’t miss out! CLICK HERE for full details of the course (or on the pic on the left). We expect it to sell out , so act now to avoid disappointment. See you there!! !